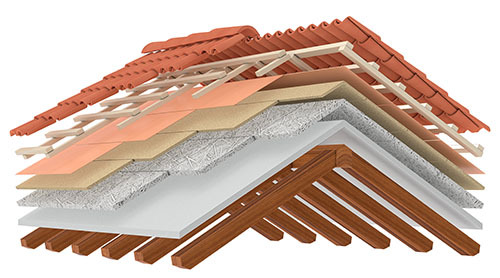 What are some of the different types of roof materials? Online, you can find all kinds of information on how to do proper roof care and maintenance without a roofing contractor. However, many of these guides leave out some crucial information, meaning the well-intentioned help might not be applicable to your situation. As the most common roof material is asphalt shingles, you’ll find that most predictably, most self-help references this kind of roof only. But is there a reason why asphalt shingles are the most popular roof type, or is it simply that roofing contractors use them because that’s the way it’s always been done? Do other roof materials have advantages or disadvantages too? What’s the deal with shingles anyway? Asphalt shingles are without a doubt the most popular type of roof throughout the United States. While certain regions may have something that’s more common, shingles are found in practically every climate. Shingles are inexpensive. Compared to other materials like metal, shingles are a fraction of the price and still have a decent lifespan. In temperate climates, shingles don’t have many problems. If the weather fluctuates often, it can cause them to warp, but this generally isn’t something to worry about in the Pacific Northwest. They usually last for a few decades. Thinking beyond 20 years is hard for most people, especially indecisive ones that have trouble deciding what to get for dinner! Pushing the worry dozens of years into the future is often good enough. What other roof materials are there? While shingles are most common, that doesn’t necessarily make them the best. Their combination of cost and efficiency often makes them a good value, but not for everyone. Metal roofs are durable. They’re resistant to fire, mold, termites, and more. A good metal roof is also treated for rust. However, they are usually more expensive and are loud, a problem if you don’t care for the sound of rain hitting metal. Tile are popular in warm regions and can withstand most kinds of typical conditions. They have a distinguished look that can’t be replicated. However, certain tiles can shatter when things such as tree branches fall on them and should only be installed by professionals. Like metal, slate is also resistant to fire and insects, as well as being rustproof. Slate can come in variety of colors and can withstand just about anything. However, this durability comes with a high price point that many people decide against. A roof made from wood is natural and eco-friendly, and gives a naturalistic look. However, these can easily set be set on fire, and are also prone to rot and termites. Because of this, they require frequent maintenance which should never be put off. A relative newcomer, glass seems like it would be far too delicate as a roof material, but that isn’t necessarily true. The new Tesla Solar Roof, for example, can withstand more than damage than any other roof material and also comes with a warranty that lasts forever. Of course, this makes it the most costly of all roof options, but one that can actually be cheaper over time if you plan to live in the same home indefinitely as it also generates electricity, which is why many people think it is the way of the future. Call your local roofer for maintenance tips or to find out which new roof is best for you!